Born and raised in Calgary, Canada, Dylan was a natural talent creating classic to avant-garde hairstyles at a young age. Using his unique skills as an avenue to express his creativity, Dylan soon found himself working on both fashion shoots and in top salons. This artist’s journey has led him to work out of London, New York, and Toronto to further pursue his dreams. 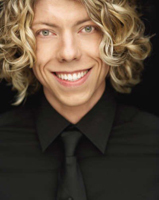 Developing his craft as a seasoned session stylist, Dylan’s impressive client list includes: Keira Knightly, Justin Bieber, Pamela Anderson, Carly Rae Jepsen, Leona Lewis, supermodels and royalty. Throughout his notable career, Dylan has collaborated with numerous internationally acclaimed photographers. These collaborations have produced several stunning covers and editorial pages of influential fashion publications, including: Harper’s Bazaar, Vanity Fair, Esquire, Glamour, L’OFFICIEL, Flare, Elle, Arena, and G.Q. Dylan’s roster of top beauty brands and fashion labels include: Cover Girl, Schwarzkopf, Dove, Herbal Essences, Revlon, Olay, Maxfactor, M.A.C. Cosmetics, TRESemmé, Garnier, Christian Lacroix, Cacharal, Guess and Louis Vuitton. With notable experience, it’s no surprise that Dylan has been praised on his ability to deliver versatile hair and make-up for ad campaigns, celebrities and fashion shows.